On the 31 January 2006 Inger and Lasse Sandberg were awarded His Majesty the King’s medal Litteris et Artibus. 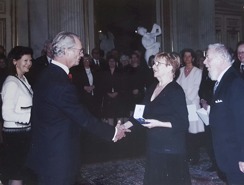 They received the accolade at Kungliga Slottet (Royal Palace) in Stockholm for services to the arts through their authorship and illustration of childrens picture books. 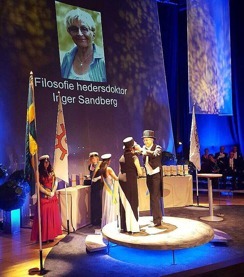 Inger and Lasse Sandberg got medals from the Rotary Foundation of Rotary International. Inger and Lasse Sandberg were awarded His Majesty the King’s medal Litteris et Artibus.